In the wake of the 2011 earthquake which destroyed the original Australia House, a competition was held to replace it. 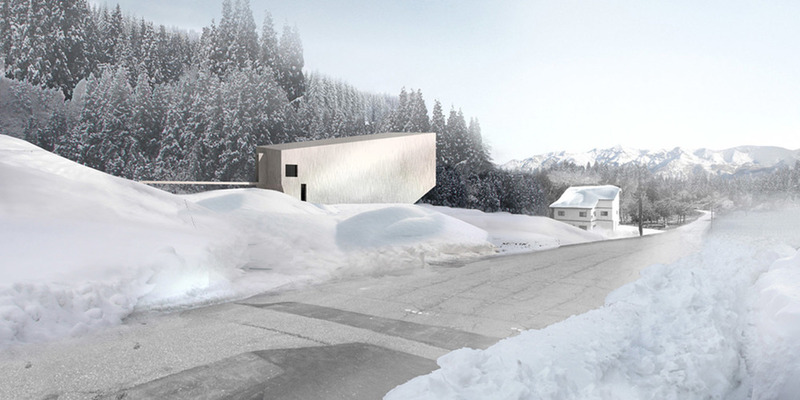 With a budget of under 300k the design brief called for a small robust design that responds to the heavy snowfall of the earthquake prone region. 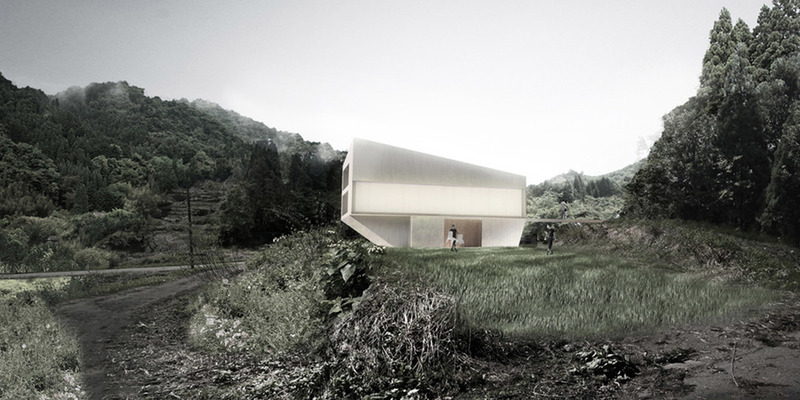 The house would serve as an artists residence and a base for cultural exchange between Australian and Japanese artists. 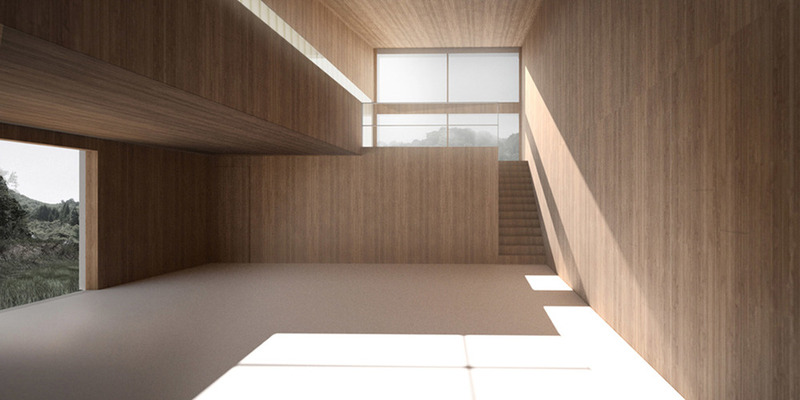 Australia house is planned over two levels to make the most of the changing seasons. 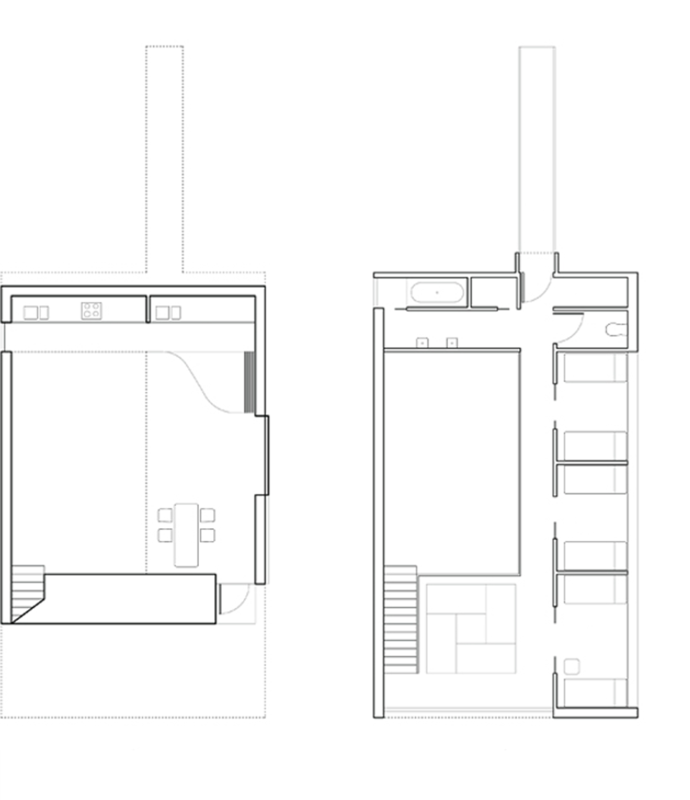 Living rooms are placed above the snow line with the atelier sunken below. The atelier is the hearth, the focus of all other spaces. The construction is lightweight timber framed while the singular cave-like formation of walls bestow shear strength. Warmth is efficiently contained within its timber hull. Through winter, the vessel floats in the snow, its belly submerged in soft light. As spring blossoms, the vessel opens to the garden.